The Calido Guitars CG-1450 is a beautiful intermediate level guitar – an excellent instrument for the advancing guitar student. Beautiful laminate Koa back/sides give great projection and volume. 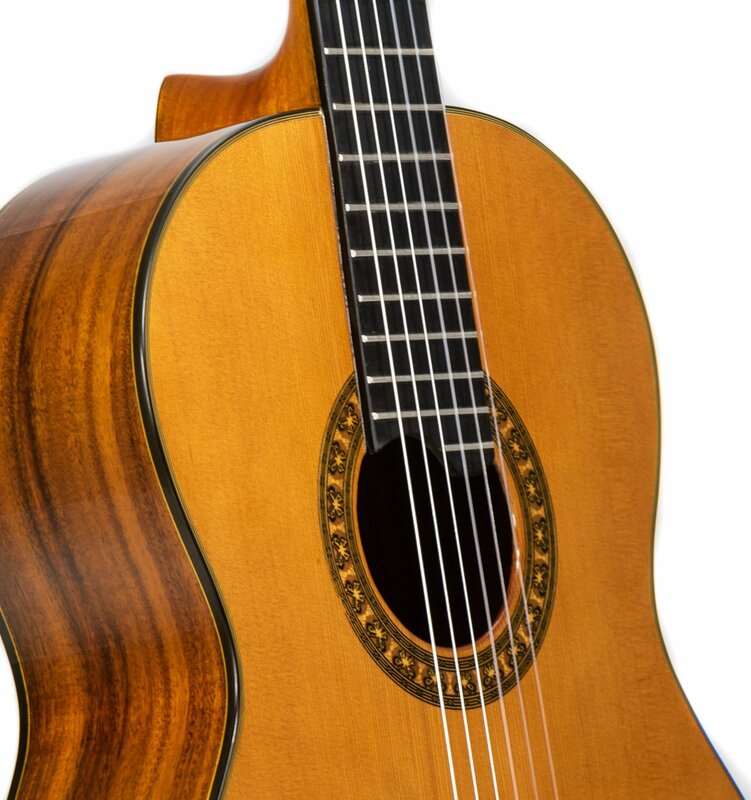 The solid Cedar top (also available in solid Spruce top) yields a wonderful clarity and brightness of the notes. Ebony fretboard and bridge offer highly stable neck and ease of playing. Augustine Blue Regal strings with high tension basses and normal tension trebles to give the best combination of sound quality and playability. All guitars set up in our shop before shipping!